Lin-Manuel Miranda took the theater world by storm and Roger Federer did the same for tennis. And now Miranda and Federer are fans of each other, making every fangirl’s dream come true. It is no surprise that Federer is a fan of Miranda. Who doesn’t love the Hamilton creator? Even Sarah Michelle Gellar is obsessed with him! He’s pretty great. He shares embarrassing videos of himself singing when he was 14 and continues to give us advice on Twitter whenever he can. But did you know that Lin is just as much a fan of Roger Federer as the world is with him? Well, it’s true! These two had the best fan interaction ever. The interaction started simply enough. Lin shared a picture on his Twitter account, showing that he was stressed watching Federer’s match at the US Open. After Federer’s win, the tennis star decided to send Lin a reply to his tweet. One that definitely made the Hamilton fan in us all squeal. 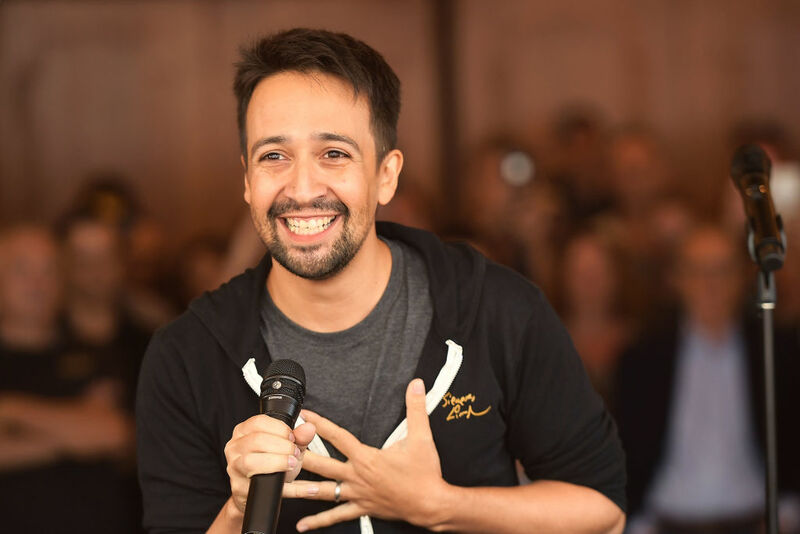 "Just you wait... Just you wait"
So, of course, Lin-Manuel Miranda had to respond with the shock of any fanboy getting a response from one of their favorites. And who hasn’t had that kind of reaction to your fave talking to you? Hey, most of us have had that reaction to Lin talking to us! The conversation seems to have ended there, but who knows, this new friendship could blossom into something like Lin and Sarah Michelle Gellar. Or Lin and literally any other celebrity we love! But until we get more of these two talking together, we’re going to have to bask in the afterglow of this interaction for a while. And that’s okay, we can live in this fangirling bubble for quite sometime. So, while we may never get to talk to Lin-Manuel Miranda or Roger Federer, at least we have the hope that these two will, someday, take a selfie together.